For 500 mg of Vitamin C take 4 capsules daily. For 1000 mg take 4 capsules twice daly. Stir powder into an 8 ounce glass of water or juice, or add tosmoothies. For 500 mg of Vitamin C take 1 rounded teaspoon daily. For 1000 mg take 1 rounded teaspoon twice daily. Stir powder into an 8 ounce glass of water or juice, or add to smoothies. For 500mg of Vitamin C take 1 rounded teaspoon daily. For 1000mg take 1 rounded teaspoon twice daily. In whole foods, vitamin C is part of a total complex that includes ascorbic acid, bioflavonoids and co-factors known to aid its absorption in the body. Food-source vitamin C is also naturally buffered, so it's less acidic and gentler on the stomach. Alive! 100% Whole Food Complex is complete vitamin c just as Mother Nature grows it. 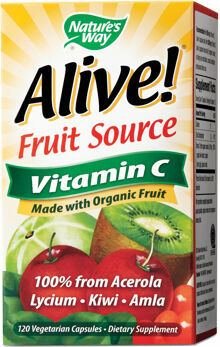 Unlike other supplements that use isolated ascorbic acid or cultured bacteria as their source of vitamin C, Alive! 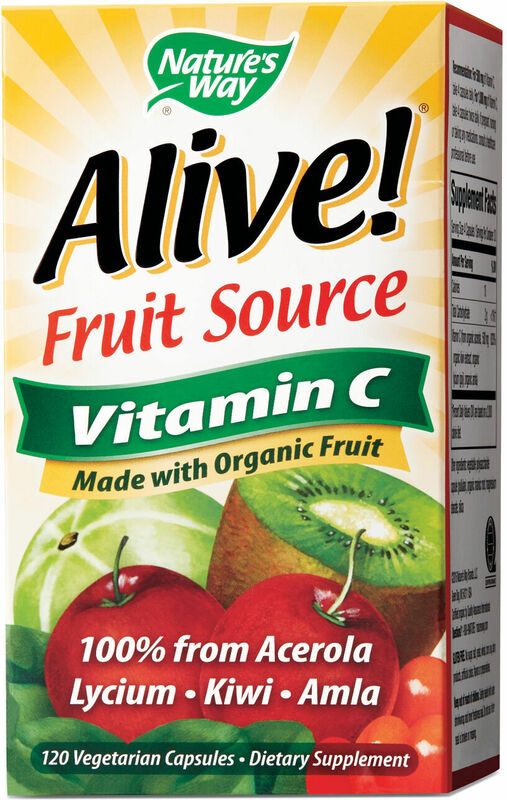 100% Whole Food Complex derives its entire vitamin C content from four of Mother Nature's most potent organic food sources: Organic Acerola, Organic Goji, Organic Amla, and Organic Kiwi.